Whether browsing the channel guide or binge watching the latest box-set in 4K, LG has the latest technology, stylish designs and ease of use that every TV owner could want. LG's most advanced panel technology, OLED, delivers incredible TV image quality for your home. Now with the Alpha 9 processor, our most advanced and powerful brain ever, this is as good as LG TV gets. Marvel at unprecedented levels of contrast, colour and clarity which are available thanks to the unique nature of OLED pixels. 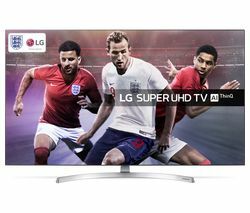 If you prefer vivid 4K colours from LED TV then LG Super UHD TV are the pinnacle of our LED panel technology, with advanced Full Array Nano Cell Display, for great viewing angles and amazing contrast, and are all found on Our Experts Love exclusive - SK8500PLA range. Enjoy bright, vibrant images, with Cinematic HDR including Dolby Vision that really bring those Netflix marathons to life, with accurate colour and clarity. With Dolby Atmos® sound – available on both LG OLED TV and LG Super UHD TV you can experience audio all around you, with LG you See It, Hear It, Feel It. 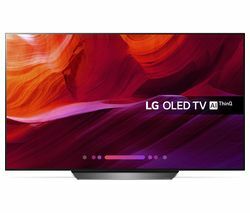 LG’s ThinQ AI intelligent Smart operation and WebOS gives you access to streaming content from NOW TV, All4, ITV HUB, BBC iPlayer, Demand 5, Netflix, Amazon Prime, Google Play and so much more, with voice activation that also includes Google Home and Alexa compatibility. Whether you watch soap operas, films, sports, documentaries, box sets, online or off, you won’t regret upgrading to an LG TV.